In my modern family dynamic, Christmas isn’t just about family getting together, eating too much whatever food and opening presents, but it also includes watching the NBA all. Day. Long. Since I can remember, the NBA has featured at least a couple big games on Christmas day. Today, it’s a full-blown expectation to watch basketball on December 25th. There has been a minimum of five Christmas Day games. Back in 2012, the NBA made their annual holiday slate of games even more special by blessing the ten teams participating with new unis commemorating that year’s season. Since then, the special edition Christmas Day uniforms have been an event to look forward to. 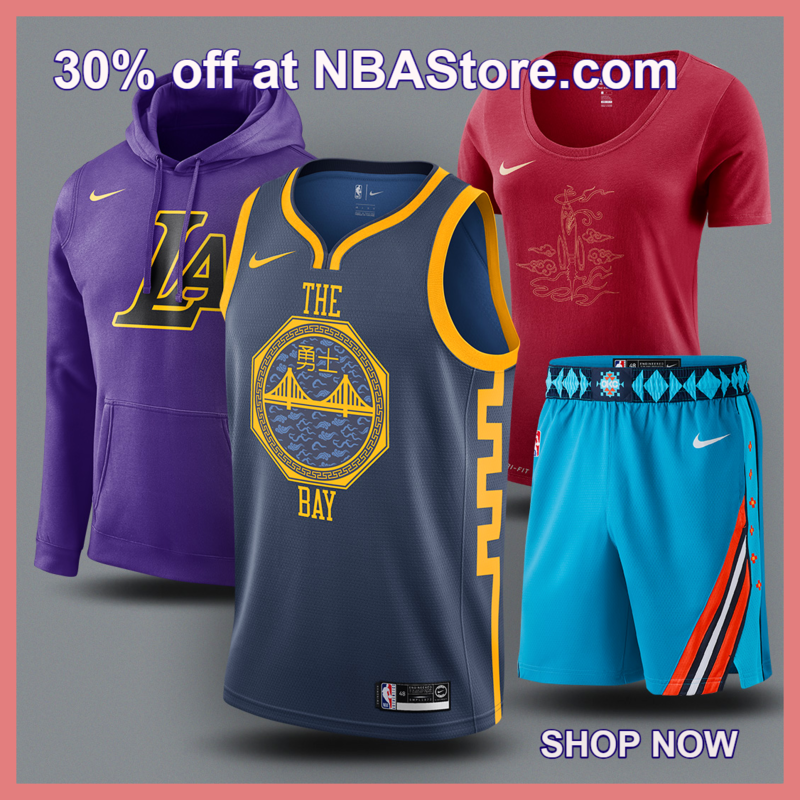 When Nike took over as the official outfitter for the NBA, the company didn’t release any new Christmas day jerseys the year they came in (2017). Going into the 2018-19 season, questions bubbled up whether Nike would step up and continue the tradition started by Adidas in 2012 and release their own rendition of the holiday unis. In November, the company did step up, but put a rationale and exclusivity to their Christmas day uniforms. Nike introduced their “Earned Edition” uniforms that added an additional colorway to their newly-released 2018-19 City Edition unis, but only for the sixteen teams that qualified for the previous season’s NBA playoffs. We love the thought that went behind the 2018 x-mas jerseys — not only did they add another uniform for the Christmas-slate of games, but there was a cool rationale that went behind it. Bravo. As mentioned above, after Nike took over as the NBA’s official uniform outfitters for the league in 2017, they couldn’t turn around Christmas jerseys in time to keep the tradition that Adidas started five seasons ago — and people (Twitter) weren’t happy. The good news is, if the rumors are to be believed, is that Nike is bringing the uniforms back for 2018 and they’ve had a full year+ to think about the designs. 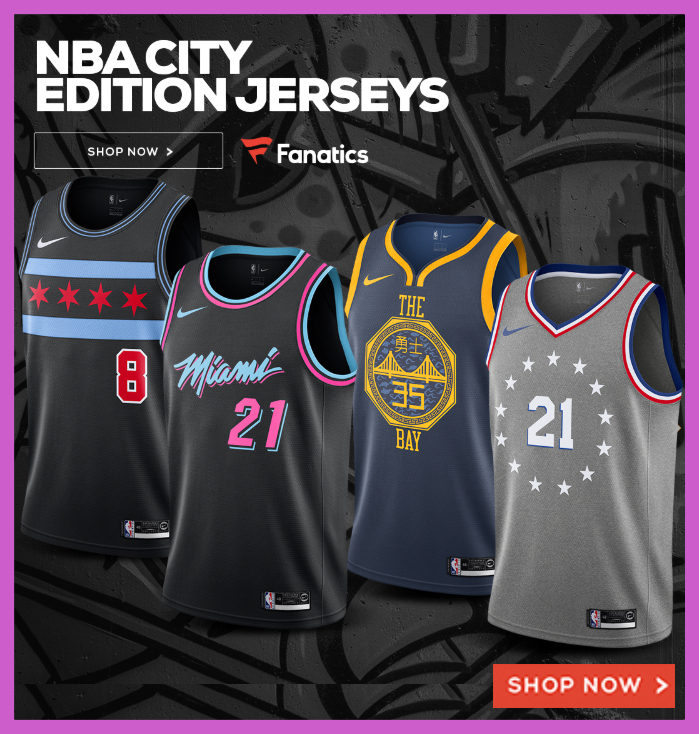 With the excitement they created with their creative alternate takes on the league’s jerseys — in particular their City Edition jerseys — expectations are sky high. So this year we’ll expect to see the Warriors, Lakers, and every other big market franchise to be donning festive holiday NBA jerseys. 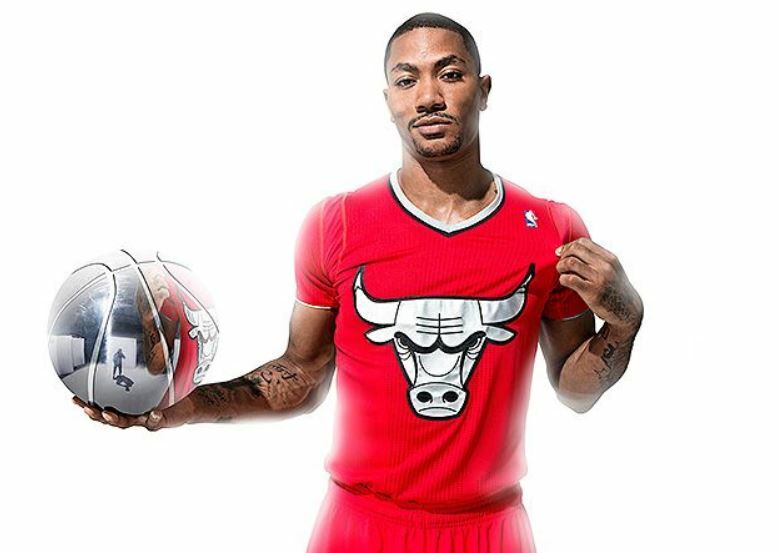 To market the holiday uniforms, the NBA launched commercials to show them off. The inaugural year of the NBA’s Christmas uniforms coincided with a Christmas commercial “Dribbling the Bells”. In the ad, a handful of NBA superstars dribbled to the melody of “The Carols of the Bells”. That ad featured Carmelo Anthony, Dwyane Wade, Russell Westbrook, Joe Johnson, and Dwight Howard (?). That commercial was quite successful, but the following year was iconic. In 2013, the league created the iconic “Jingle Hoops” to market the Christmas games. That awesome ad featured Kevin Durant, LeBron James, Stephen Curry, James Harden, Derrick Rose and Steve Nash shooting on different baskets to the tune of Jingle Bells. Of course, the fivesome were wearing their Christmas uniforms — featuring sleeves. In the big picture and long NBA season, Christmas is just one of the season’s milestones. Still, it’s a milestone nonetheless, one that the players and teams have gone from complaining about to feeling 100% honored to be a part of. And since 2012, those teams have been rewarded with their own special Christmas uniforms.